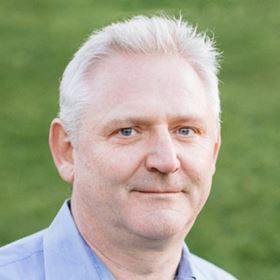 John Burton, CEO of UrsaLeo. John Burton, the CEO of UrsaLeo gives an overview of the intersection of IoT and cloud computing and how these technologies are evolving manufacturing. The overview sets out what these key industry trends mean for pump manufacturers and provide important considerations for pump manufactures as they begin to transform their business with IoT and get into the cloud. The Internet of Things (IoT) is uniquely poised to transform the manufacturing industry worldwide. According to IDC data, published early 2017, the manufacturing industry spent a total of US$178 billion in 2016 on IoT. The ability to connect machines to the public cloud for the purpose of sending and receiving data is at the core of this transformation. Consumer and B2B hard goods, from refrigerators, motors and pumps to hospital grade respirators and conveyor belts on manufacturing lines, are a treasure trove of underutilized data. To date, original equipment manufacturers (OEMs) in the industrial space often don’t have the tools they need to connect and harness this data for real-time monitoring, automated decision making and monetization (or business intelligence). Enter the intersection of IoT and cloud computing and you have the true evolution of manufacturing. What do these key industry trends mean for pump manufacturers? Below are some important considerations as you begin to transform your business with IoT and get into the cloud. Oftentimes, new technology is not quickly integrated immediately into a business. This is because people fear the potential costs and losses associated with new technology as pain points are worked out, costs are reduced, and the product(s) is ready for prime time. Geoffrey Moore, managing director of Geoffrey Moore Consulting and a venture partner at Mohr Davidow Ventures, wrote a book called 'Crossing The Chasm'. In it he lays out the technology adoption lifecycle, which is the evolution of any given community’s acceptance of a disruptive innovation and is organized into five categories. The categories include the first group of people to use a new product or the innovators. They are followed by the early adopters, early majority, late majority, and the last group to eventually adopt a product, the laggards. IoT and the cloud are in the early majority cycle. More and more customers are adopting the technologies and costs have significantly reduced. For example, IoT equipment that includes sensors and a processor gateway can be connected to the cloud for around US$20 to US$30. The cost of cloud computing is also affordable and in the region of US$15 per GB of data sent and stored. Affordability and ease-of-use is making it much easier to adopt these technologies and begin to transform your motor and pump business. You’ve connected your motors and pumps, so now what? This is the part that many people have questions about. Once machinery is fitted with sensors and collecting data, what can be done to ensure that the data is driving business intelligence and decision making? Not to worry, high performance tools are already available to analyze and make use of the data you’ve collected and Google BigQuery is a great example of these products. BigQuery is Google's serverless, highly scalable, low cost,a enterprise data warehouse designed to help you be more productive as it relates to data analysis. With no infrastructure to manage (this is handled by the team at Google), you can focus on analyzing data to find meaningful insights without needing sometimes costly IT Personnel. BigQuery enables you to analyze data by creating a logical data warehouse and makes it easy to securely share insights within your organization and beyond. Predictive maintenance is one of the key value propositions associated with data that is sent from machinery to the cloud. With an events-based alerts engine in place to monitor the data, you define the conditions that trigger an alert, from excessive vibration, temperatures outside of normal operating parameters, or increasing current draw by the equipment. The alert would immediately be sent noting that maintenance may be necessary, which would ultimately help to reduce downtime and allow for streamlining the inventory of spare parts. Over time, machine learning supplements human perceived failure conditions and uses pattern recognition to determine potential failures or the need for proactive maintenance. Machine learning harnesses cloud computing and the troves of data collected to spot patterns in equipment that a human wouldn’t notice. This is where data becomes very powerful and highly valuable in terms of overall cost savings via reduction in manufacturing or systems downtime. As a motor or pump manufacturer, your customers would likely pay a monthly fee to have sensors connected to their machinery, ongoing data collected, and alerts sent when equipment fails or goes offline. Subscription services, never thought of in the world of OEMs, are now becoming a new revenue stream. Additionally, as more and more data is collected about equipment, ‘big data’ analytics starts to offer other insights. Data analytics has the ability to look more closely and analyze when a failure occurred and the environmental conditions that correlate with failure conditions. For example, high water pressure might be causing seal failures inside a pump, but at what pressure do what percentage of the failures occur? In the world of motors, do factors like current surges cause the product to fail predictably a short time later? If so, the design can be changed and improved to reduce the incidence of such failures. These are the types of scenarios that analytics can start to predict. Closer analysis of this data can lead to improved product design or revised product specifications. It all comes down to this. The simple act of connecting sensors to equipment can revolutionize how your business operates. The time is now to adopt IoT and cloud computing and take advantage of these transformative technologies.